Try our Lavender Soothing Body Balm with lavender infusion and lavender essential oil. 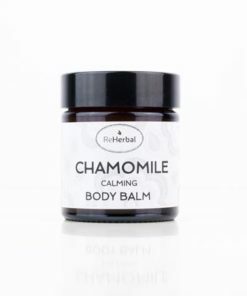 This body balm soothes damaged and dry skin and keeps it protected from external irritants. 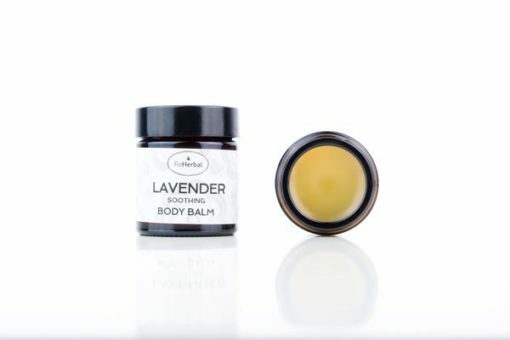 Lavender Soothing Body Balm – a soothing and moisturizing body balm made with beeswax and coconut oil. 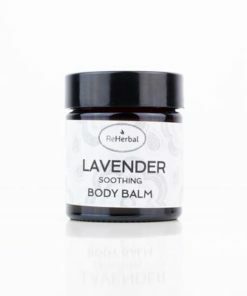 Lavender Soothing Body Balm for the dry and overstrained skin. 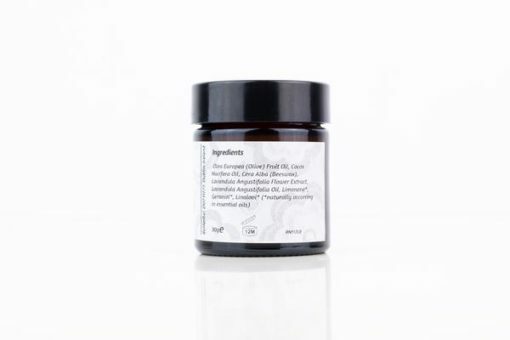 It is a soft body balm with a smooth and shining sensation on your skin. 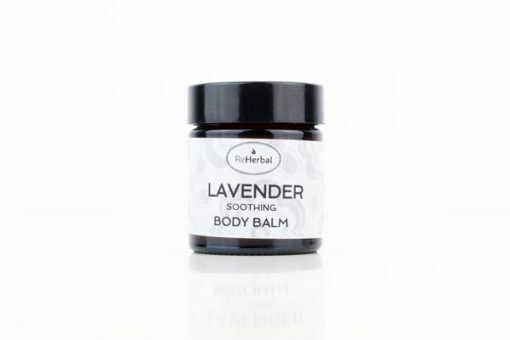 Our natural Lavender Soothing Body Balm with extra coconut oil is suitable for damaged, sensitive, dry and mature skin. Coconut oil is semi-solid oil with a sweet, exotic fragrant odor. Not as thick as cocoa butter, this oil is suitable for most skin types. It is a rich emollient and works great as a carrier oil in our body balms. It is an excellent oil for daily use. Coconut oil protects, softens and soothes irritated skin. Are you an explorer who spends most of his time outdoors? The Lavender Balm is made for you then. The days in nature will bring scrapes, scratches and lots of small injuries. Also, mosquitos get involved. Make sure you pack our balm every time you leave for an adventure. Antibacterial and repairing properties of Lavender will soothe the burns, sunburns, insect bites and any type of scrapes. Damaged and overstrained skin will always benefit from the mixture of Lavender, Olive Oil, and Coconut Oil. Lavender Soothing Body Balm is perfect for damaged and irritated skin. 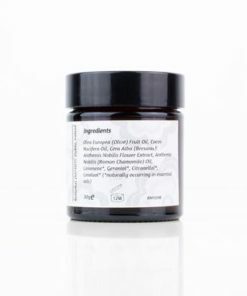 Our Body Balm is excellent for treating fresh tattoo and hardened skin on your feet and nail cuticles. It will keep it moisturized and speed up the healing process. Baby’s nappy rash is another condition which will benefit from our Lavender Soothing Body Balm. 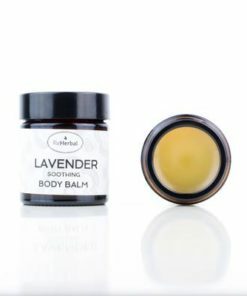 If you are not keen on Lavender scent, check out the rest of our Body Balm collection.